A lot of us have Google Drive repositories that are quite large, and that's especially true for enterprise customers. Cloud storage isn't as appealing when you need to sync all those files to your computer to get anything done, and that's why Google announced File Stream earlier this year. It was only for early adopters at the time, but now it's about to roll out to all G Suite users. Rather than forcing you to download all the files you need, File Stream makes them searchable from your desktop and intelligently downloads the files you use. It can even guess at which files you'll need in the future and cache them ahead of time to save you a few seconds here and there. The result is less disk space taken up by Drive data, but nearly seamless access to all your company's files. 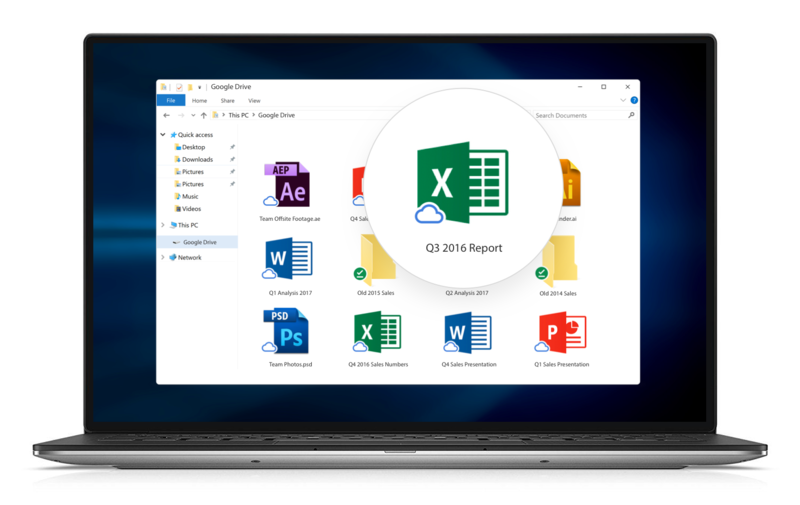 Only those in the early adopter program had access to File Stream when it was launched back in March, but now Google thinks it has all the kinks worked out and it's becoming a stock feature in G Suite. Starting on September 26th, all business, education, and enterprise G Suite accounts will get File Stream unless administrators turn it off. Additionally, this feature will require the new Google Backup and Sync app—the old Google Drive app will no longer be supported as of December 11th of this year.